Turquoise hotel is located in the posh area of New Friends Colony in Delhi. The nearest metro station is located near Kalkaji Mandir that is 3 kilometres away from the property. Guests can visit the famous monument Safdarjung Tomb. 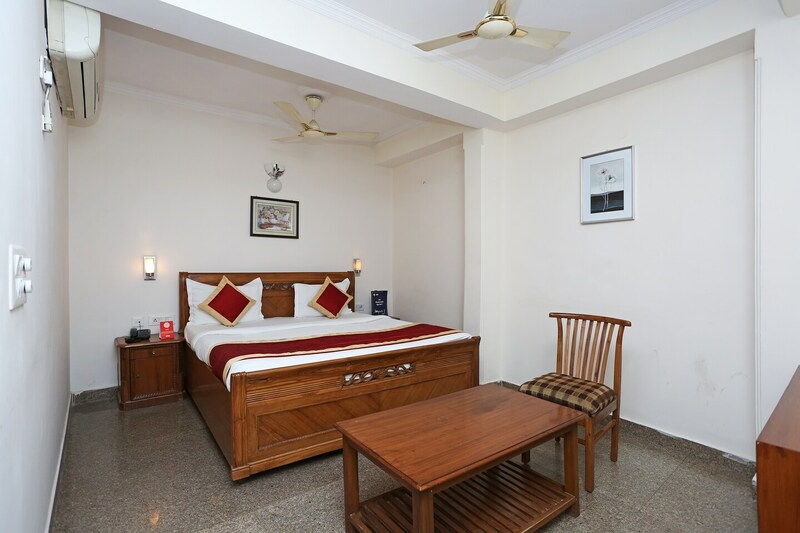 The hotel rooms offer king size beds, parking facilities, a seating area and a banquet hall. The hotel provides CCTV cameras, air conditioning, geyser, laundry services, television and free Wi-Fi. There are many eating joints in the vicinity that include Kababs Gallery, Moti Mahal delux, Al Mumtaz restaurant, Brijwasi, Carnatic Cafe and Lotus pond restaurant.